This time I have Koguma-chan in miniature form. This time his nose is stitched however he still has plastic eyes and flat ears so still not fitting in with my other Rilakkuma plush toys. 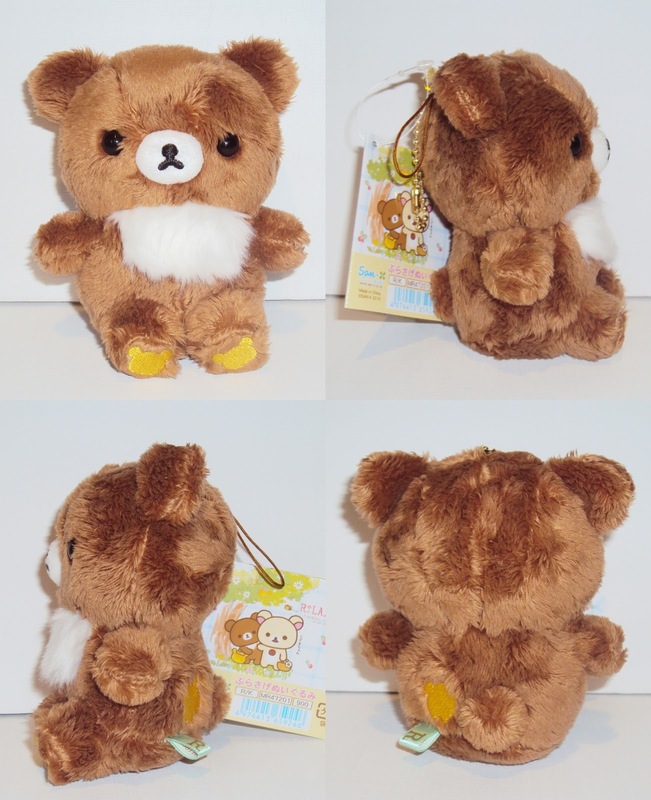 In spite of these design choices he is very well made and cute. The stitching is good quality and his fluffy chest is even more adorable in miniature! 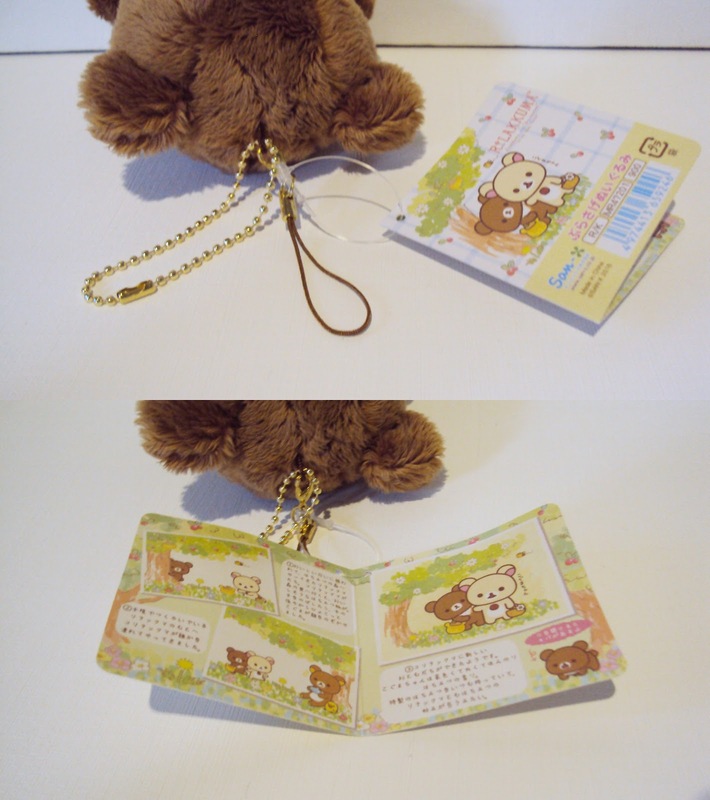 His tag is the same as the small size plush, featuring the story of how Koguma-chan became friends with Korilakkuma and Rilakkuma. Once again despite some disappointment this key-chain Koguma-chan is adorable and would look good on any bag or phone as he has two kinds of chains.